This Welcome Flag is an easy form of communication with potential patrons! We sell many other types of retail signs, most of which are in stock! Large Flag is ready easily by passersby. Double-hemmed banner provides longer usage. Quadruple stitched ends to increase durability. Screen-printed lettering shows reverse image on backside. A welcome flag, like an advertising banner and a message flag, greets potential customers as they pass your storefront, inviting them into your marketplace. 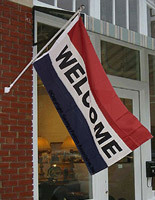 This welcome flag features the word "welcome", written in black on a white background between bands of red and blue. Bright colors make this flag easily recognizable to all passersby, informing them that your location is open and ready to do business. 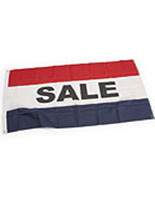 The advertising banner, welcome flag is double-hemmed, providing you with a durable sign that will last for years to come. 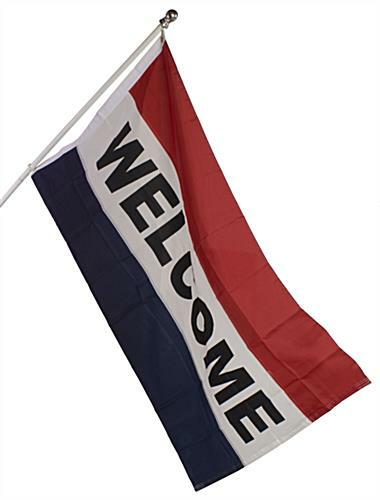 The welcome flag has quadruple stitched ends to reinforce the nylon, making this flag perfect for outdoor use. 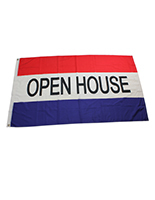 This message banner is a perfect welcome flag to hang in a variety of ways, with (2) grommets making it quite easy. 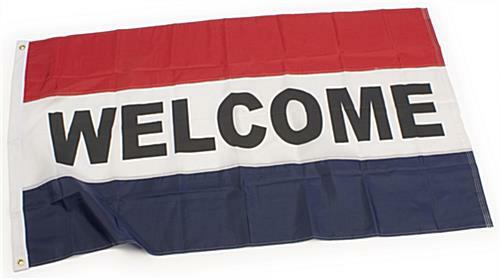 The welcome flag, also known as a message banner and an advertising sign, is clearly read by onlookers on the street with its large approximately 5'x 3' size. 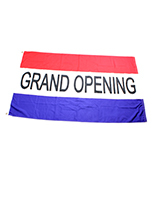 A message sign, welcome flag invites customers into your business by using a friendly slogan that greets them as warmly as your employees will.